"Your Best Choice of Indian Cuisine"
Well, you know those afternoon events you get invited to that don't actually include a meal, they include nibbles and alcohol and once you get started they can tend to keep going (or I do, I should say). Last weekend, I went out for afternoon drinks and found myself in Oxford Street about 11.30pm, hungry. A cruise by the standard fast food outlets including that awful pizza pieces place, four bucks each piece (worst value in town) and came across a place that I've now been to multiple times. It never ceases to amaze me how yum the food is at a price that will still leave you enough for a cab ride home. Goat curry is a favourite of mine and believe it or not, this is one of the best I've had. 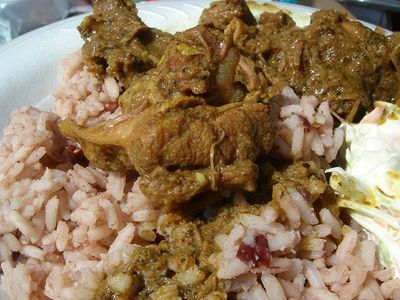 Tender and flavoursome, you can get a small goat curry for $5.40 with a garlic nan $2.40 and believe it or not, with a glass of red for $3.50. Well, I'm not saying it's the best wine in town but I can assure you, the food is good. There's all the standards like butter chicken and rogan josh, but not every Indian restaurant can boast a good goat curry - particualrly at 2am. So try and let me know what you think.